I received a unique request from Gaia Hotel and Reserve for a couple portrait session. 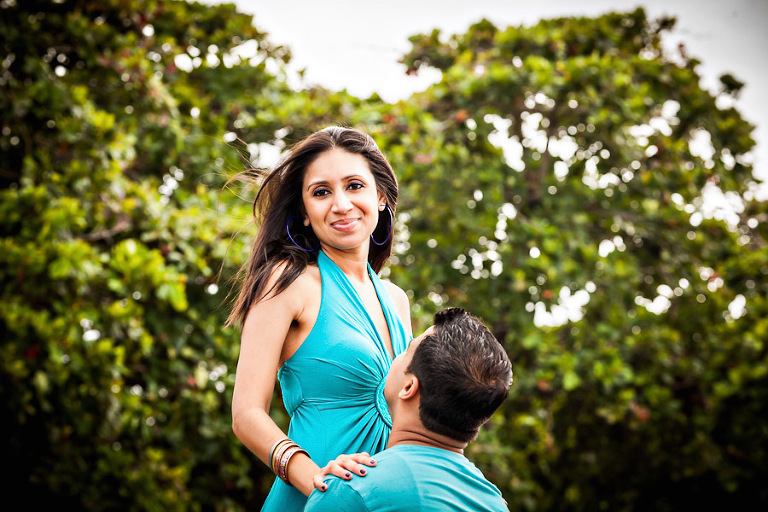 During the session the boyfriend, Aman was going to propose to his girlfriend, Loveleen. I jumped at the chance, knowing that the photos from Loveleen’s reaction would be unforgettable. We planned on starting the session at Dominical beach and then later moving on to the waterfall in the area for a couple more photos. As expected, Aman was extremely nervous during the first few minutes of the photo session. So much so that Loveleen even asked me if it was normal for guys to be this nervous while having their pictures taken. I just nodded my head and reassured her so she wouldn’t know that Aman and I were in cahoots for a surprise beach proposal. But minutes later Aman got down on his knee and pulled out the ring and asked Loveleen to marry him. 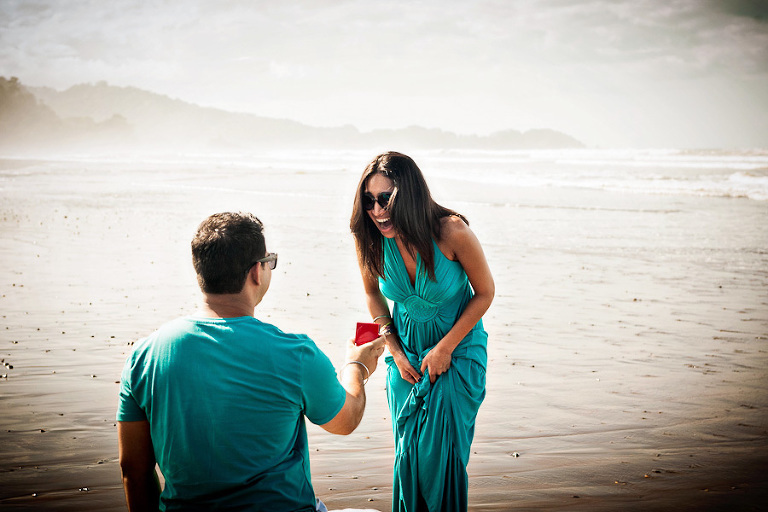 Fortunately, she said yes, as the surfers on the beach cheered and whistled in support. Looks like she was surprised! Costa Rica is an enchanting place for everything, vacations, a beach proposal, and, of course, weddings. If you’d like to see wedding inspiration at this venue, check out this gorgeous wedding I shot at Gaia! © 2019 Costa Rica Wedding Photography | Kevin Heslin Photography|P7 Photo Blog|Design by Northfolk & Co.